Remember the days when hindsight was 20/20? Not anymore, at least with regards millennial marketing. I recently read in Fast Company that “a brand is only as good as its last snap.” If you are a business owner or marketing strategist, what does that mean to you? Are we on the same platform? I’m talking about Snapchat, the photo- and video-sharing app that was founded in 2011. It may have been (or may still be) a sexting device for young people because of its evaporating messages, but it’s also, according to HubSpot, a “game changer” and one of the top seven marketing trends to watch” during 2016. According to data analytics from web attention and monetization firm Chartbeat, 55 percent of visitors to a site spend less than a quarter of a minute engaging with a given page. Only 24 percent of visitors scroll down a page, and of those, less than a third read beyond the first one-third of an article. Companies are paying for content that isn’t capturing the attention of visitors. Not surprising then that more and more are turning to live streaming platforms like Snapchat, Twitter’s Periscope and Meerkat. Snapchat is the primary tool of ephemeral marketing (aka. temporary, video-based social media.) It boasts more than 50 million users sharing 400 million photos each day. For those of you who might be older than 35 and possibly not familiar with how it works, let me enlighten you. (I myself fall into that group and readily admit to conducting a fair amount of research to bring you this information!) Snapchat lets you send photo and video “snaps” to a friend (which disappear after 10 seconds max) or longer “stories” (which are only visible for 24 hours). News outlets such as The Wall Street Journal, National Geographic, Yahoo, Fusion and Cosmo are also bringing content that is available for 24 hours through Snapchat’s year-old Discover program. Marketers are excited about ephemeral marketing because the need for short-term content has never been bigger. In a world where people are overloaded with incentives, it’s easier to capture someone’s attention if you only ask for a few seconds of their time. Especially on a platform they already use actively. Experts say that the brief period of time that people can view content requires a greater level of attention, thus allowing businesses to get their messages across more efficiently. Taco Bell, Burberry, ESPN, Mashable, Vice and the NFL are just a handful of organizations already using Snapchat as part of their marketing programs. But it’s not only for big business. It’s actually an ideal medium for startups that don’t have the cash to throw at fancy digital ad space. 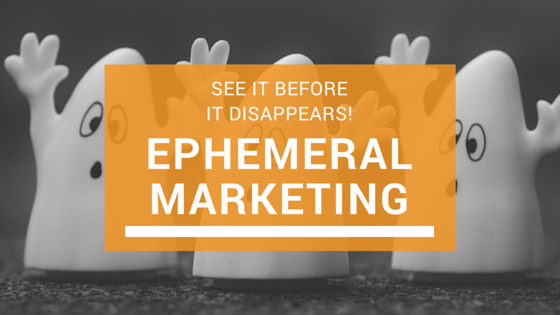 Capitalize on the inherent urgency in ephemeral marketing. The fact that in a day, tops, the message will be gone forever keeps users coming back. Be creative. Snaps and stories should be funny, unique and entertaining. Be relevant. Consumers on these primarily peer-to-peer communication platforms don’t expect ads or salesy talk, so don’t be heavy handed with your message. Promote Snapchat in your other channels and cross-media campaigns to build your audience. Offer Coupons and Discounts. NYC-based frozen yogurt store 16 Handles was one of the first companies to run a promotion on Snapchat in 2013. They asked customers to take a picture of themselves enjoying the yogurt at one of the area stores and then to send the picture to the company’s Snapchat account, Love16Handles. Once they snapped, they received a special coupon code for between 16 and 100 percent off and here’s the rub—they only had 10 seconds to show the cashier! This coupon campaign established more than 1,400 connections, reported the company. Organize a Competition. Sports media company, Chat Sports, used Snapchat to promote a competition in which individuals were required to ask five friends to add “ChatSports” on Snapchat and then each friend had to send in unique snaps with the fan’s username at hashtag #gimmietickets. The players could potentially win tickets to baseball games and Chat Sports got increased coverage amongst their target audience of college students. Produce a Stream of Live, Curated Posts From Users. Take a look at how Samsung sponsored a stream from the 2014 American Music Awards. 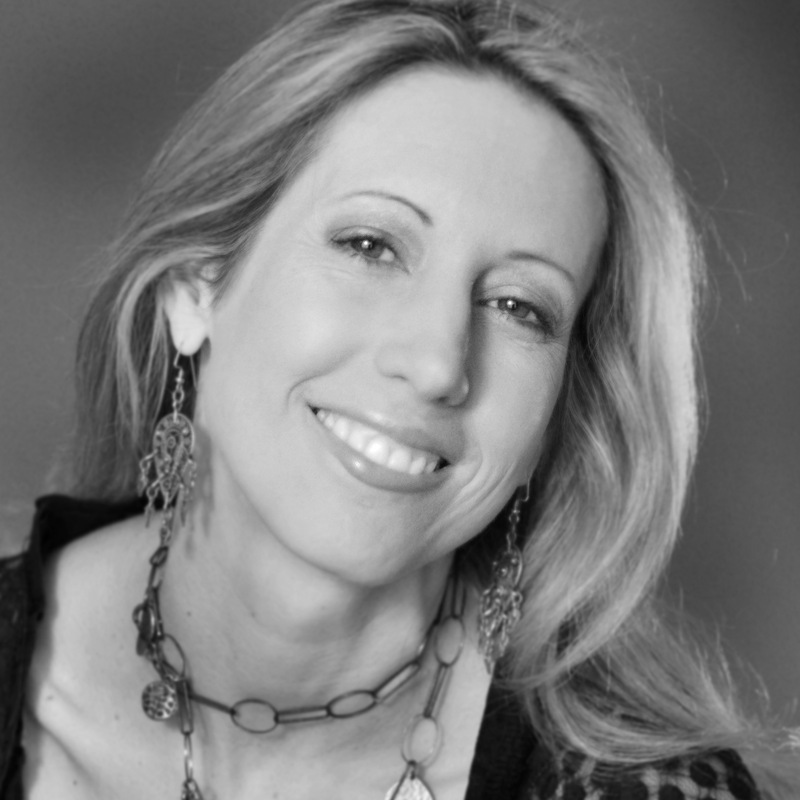 Companies can then integrate their own messages in with user-generated content. Of course, by now, you might have gathered that it might be tricky to measure the performance of your Snapchat activity due to its transitory nature. There are, however, companies like Naritiv that are stepping in to help. Ultimately, you have to ask yourself if it makes sense to invest your marketing dollars into something that’s going to vanish within seconds of being viewed. Smart companies that have their eyes on young people would say Yes! I say, Snap to It!